On Sunday, March 10, the Southwest High trapshooting team went to Branson to compete in the MO Winter games. For their effort, the team took home three medals. 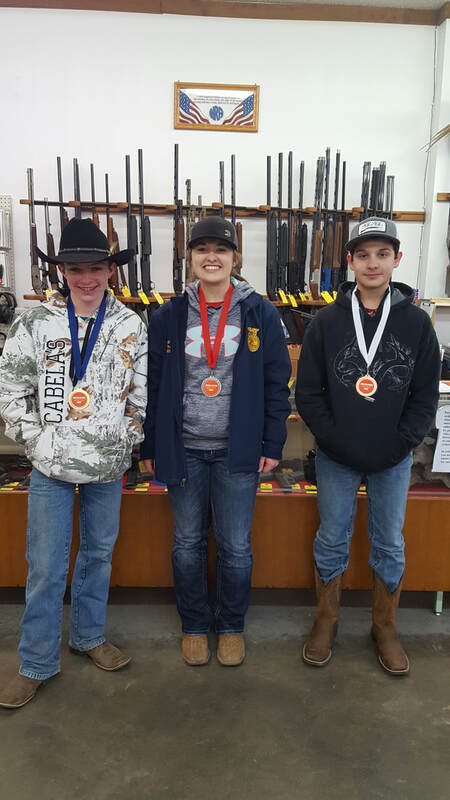 Medalists are pictured above from left to right: Ty Howard, 1st place Sub Junior, Heather Windes, 2nd place Ladies; Joseph Stockton, 3rd place Sub Junior.